Shirts With Random Triangles: Mississippi State lands high school defensive tackle Briston Guidry for its 2016 recruiting class. 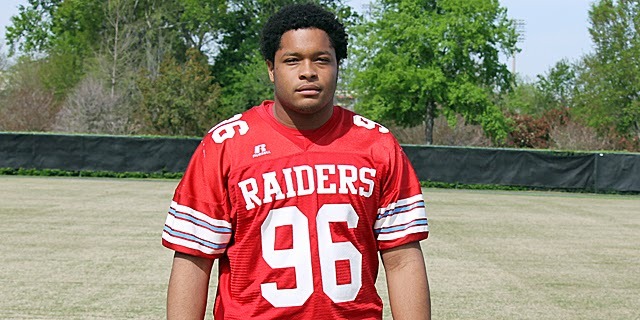 Mississippi State lands high school defensive tackle Briston Guidry for its 2016 recruiting class. Brison Guidry. Photo via insidemsusports.com. Mississippi State has added a second member to its 2016 recruiting class. Metairie, La. high school rising junior defensive tackle Briston Guidry committed to the Bulldogs on Wednesday. Guidry attends Archbishop Rummel High School in Metairie, La. He stands 6'2", and weights 265 pounds. He is graded as a four-star DT by 247Sports.com, which ranks him at 240 in its list of the top 2016 prospects in the country.